I live half an hour away from here and visit often. 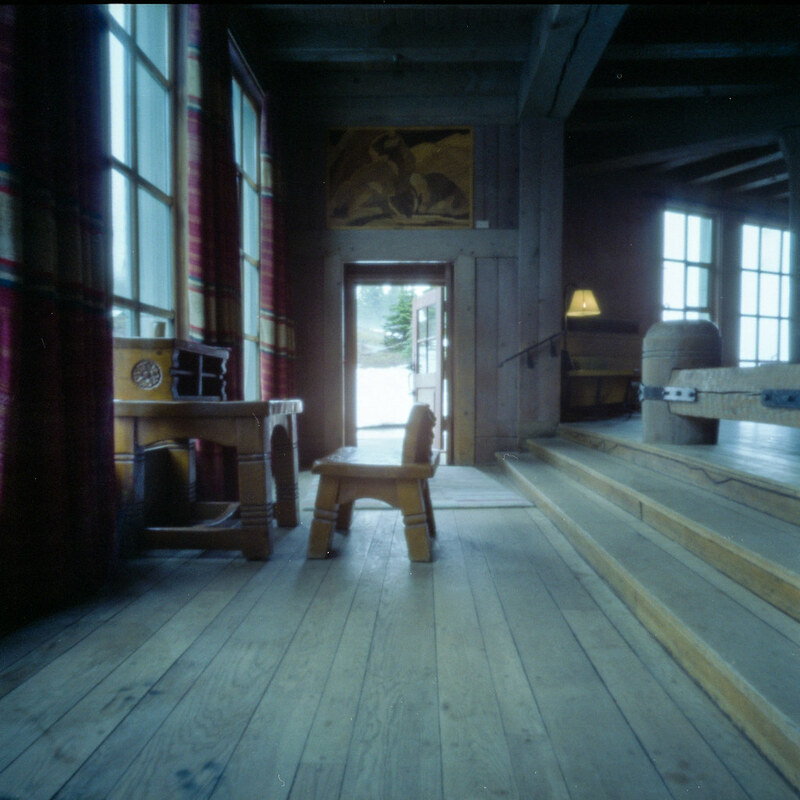 The lodge was used for the outdoor shots for the Overlook hotel in The Shining which gives it a mysterious quality. The inside is cozy. Everything in this place is hand made. Everything, from the floor to the ceiling, hand made by local artisans.